“It is a threat to the foundations of our free society when government officials, acting in the midst of a crisis, use dire predictions of imminent disaster to justify their encroachment on our individual liberty and the rule of law,” said Darrell Issa (R) Congressman from San Diego, CA. No it isn’t Iraq, it isn’t Afghanistan, or WMD or anything related to killing lots of folks for no reason. Give up? This is congressman Issa lambasting Hank Paulson last week (http://www.commondreams.org/headline/2009/07/16-10) as he appeared before a committee investigating the nefarious actions underlying the mega bailout of Merrill Lynch by Bank of America…..and BofA by the US Government………and the US Government by us the taxpayer. I find it hard to lend any credibility to the congressman’s concern given that such a quote could easily be attributed to Dennis Kucinich or Russ Feingold during the lead-up to and subsequent complete disaster that was/is the Iraq and Afghanistan Wars. Does he not see that it is his party (primarily but not completely!) that gave way to this kinda hubris on the part of regulators, bankers, Defense Secretaries, Vice Presidents, and Presidents? This is nothing new and I find it amazing that San Diego is dumb enough to vote for a guy who is just now realizing what he so eloquently stated last week. Jesus I mean these words are the very same words we could use when describing the motives for Iraq, torture, warrantless wiretapping, mass ousters of states Attorneys Generals, WMD, etc etc. Come on we are asked to pretend like we were born yesterday and it is quite insulting. This is a quote used more now than everything sans “Green Shoots” right now and it is purported to have been spoken by former Illinois Senator Everett Dirksen, although there is no question as to whether he ever said or wrote such words. Regardless of whether Mr. Dirksen did or did not construct this phase it seems an interesting thought given that the Obama administration is now discussing upping US food and agricultural aid to nations around the world to $5 billion annually. Under the Bush administration this figure was about $2.3-2.7 billion. Now given the quote attributed to the late senator from Illinois this sum should ≈ real $$. I and others contend that no where is this statement more false than with respect to international aid. Should we look to solve all the developing world’s problems, whether they be health or technology? Absolutely not these folks need to stand on their own 2 feet and it is time to clip their wings with respect to funding for weapons and war related infrastructure. However, the figures mentioned above account for 0.0181-0.0335% of our GDP ($14.93 Trillion FY 2008). 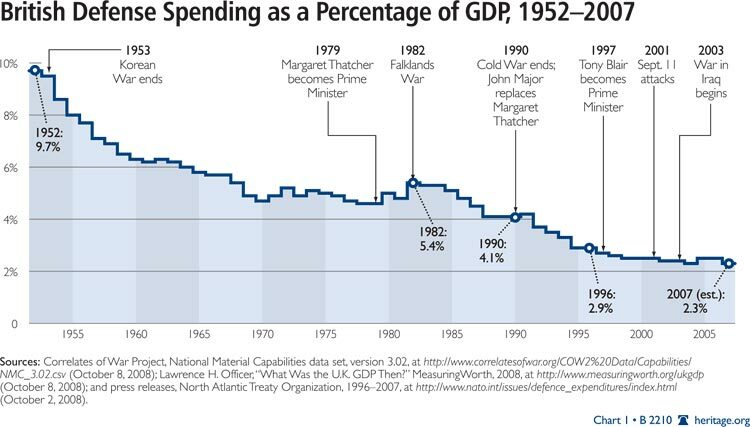 At the ultra-macro level the US donates about 0.2-0.4% of GDP in toto (http://www.globalissues.org/article/35/us-and-foreign-aid-assistance#ForeignAidNumbersinChartsandGraphs).This is markedly less than the 0.7% of GDP agreed to by rich nations at the UN General Assembly……..in 1970! Yes it is true we donated $25 billion in 2008 as Official Development Assistance (ODA), which is ≥ Germany and the UK combined and realistically dwarfing every nation on an absolute scale. However, as any economist or pragmatic person would admit absolute values don’t say much, while relative figures say a ton. The US ranks dead last among the 22 rich nations as a % of GDP. Pekka Hirvonen called this Stingy Samaritanism. The only nations that exceed the 0.7% target are Sweden, Luxembourg, Norway, Denmark, and the Netherlands (0.8-0.99% of GDP)……………..Damn Socialists! 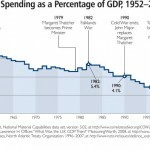 Lets just quickly contrast this with Defense spending, which was 4.7% of GDP last year and has a 45yr average of 5.3% ($702-792 billion annually) (http://www.heritage.org/research/features/budgetchartbook/obama-budget-would-return-defense-spending-to-pre-911-levels.aspx). So, why don’t we just take 0.4% of defense and transfer it to international aid. This would still leave 3.73-4.33% of GDP for making tons of bombs, guns, missiles, tanks, etc. allowing us to continue to engage in mismanaged, ill-conceived, spineless, and pointless wars. How can you argue with that Bush, Cheney, et al? Further folks like Peter Orzag the Director of President Obama’s Office of Management and Budget has noted that if we don’t get healthcare under control it will mushroom from 5% in 1960 to 20% of GDP sometime between 2020 and 2040. If we were to actually shear some of the fat from this beast we could give more generously, but that might actually require a national healthcare option that would apparantly run private industry out of business. However, this is hard to reconcile given that most in the private sector feel the US government would do a horrible job if they got in the business of healthcare. If this is so than what’s the problem? We have a TRUE Axis of Evil in this country Defense, Banks, and Healthcare/Big Pharmaceutical. Cutting these folks down to size even if that meant a 5-10% decrease in their nefarious profits, would permit the US government to cut taxes for Joe the Plumber (ie The Common Man and Woman!) and permit more giving to those around the world in desperate need of real aid. Not food in boxes or finished product but rather the tools and knowledge to make their own stuff and feed themselves by themselves. I must admit rather reluctantly that I did a rough calculation of how much I gave in aid/donations last year and it came out to approximately 1-2% of my income. That is a figure that I really don’t know how to square with others as the data for individual households in this country is scant with respect to charitable donations. So, it seems to me that a billion here, a billion there does not equal real money when it comes to international aid. This country owes it to the world to stop exporting so much defense related technology and get going on the stuff that makes countries function in the interim. That includes alternative NRG, agriculture, smart-growth, etc. and the myriad skill-sets they need to stop relying on external aid. Its the least we could do.